Apparently a ramjet engine was test fired by CASC. Henri K. has reported similiar, with an additional research paper! bluewater2012, t2contra and Equation like this. Interesting that it is solid fuel. can someone explain to me the difference between scramjet and ram jet. cuse even readong about it it sounds like the same thing. Ramjet slows down the air before combustion. 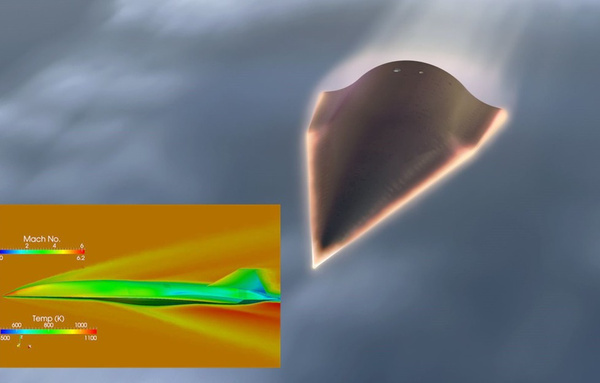 Scramjet keeps the air supersonic through the entire process. JayBird, no_name, SteelBird and 2 others like this. In a ramjet the fuel burns in a subsonic airflow. I remember seeing in 1955 a Dutch helicopter that flew thanks to a pair of ramjets fitted to its rotor tips. Those tips were of course subsonic but the noise was, even at a considerable distance, horrific. When your aircraft/missile is supersonic the intake air velocity will have to be slowed down, as efficiently as possible, to a subsonic speed before fuel can be burned in it after which it will have to be accelerated through a convergent/divergent jet pipe in order to provide thrust. At higher speed, above Mach 4 or so, the subsonic airflow in a ramjet will be too hot to burn the fuel. It will just remain dissociated and not provide energy to the flow. 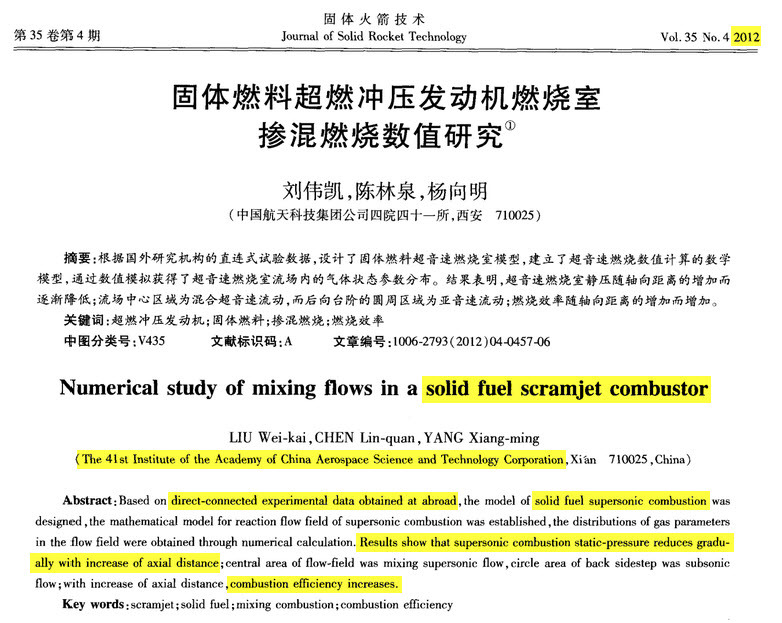 You can then use a scram jet in which a supersonic flow is slowed down in a convergent pipe to a still supersonic speed into which fuel is then burned after which the flow is accelerated in a divergent jet pipe. Blackstone, JayBird, t2contra and 2 others like this. China has been doing research in developing scramjet for years and has now succeeded in developing a new type of scramjet to achieve the speed of Mach 4.5. It is hopeful for future products to achieve the speed of March 7 to 10 and above. The information was revealed by Tan Yonghua, head of No. 6 Research Institute under the China Aerospace Science and Technology Corporation (CASC) in an interview with Science and Technology Daily when he attended NPC (National People’s Congress, China’s parliament). As far back as in March 2015, cannews.com.cn, the website of the Science and Technology Daily, carried a report on his research institute’s successful test of the new type of scramjet. The test is difficult as it is the test of a “trans-generation flying vehicle” with its unique manner of the flight, far greater speed and height and the short time allowed for preparations of the test. The professional of the test flight team are in charge of the various tasks of design, planning and command for the test flight. 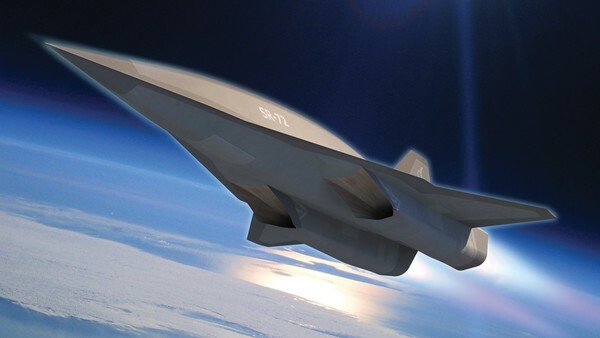 There has been much speculation what kind of hypersonic flying vehicle it is in the report. Some believe that it is a hypersonic glide vehicle (HGV), but the test of a HGV does not take hours. Others regard the aircraft tested is something like US X-51A but people doubt whether China has the technology to have a hypersonic aircraft like X-51A flying for hours. Still others believe that the new aircraft is not hypersonic but something flying faster than existing aircrafts. I have searched cannews.com.cn website but failed to find the report. Perhaps it cannot be found due to the secrecy. I can only say that it is indeed a mystic test of a mystic aircraft. Now, as Mr. Tan said that China has put in use its new type scramjet to achieve March 4.5, this blogger believes that it was the test of a Mach 4.5 aircraft using the new scramjet. Financial Times says in its report “Lockheed hails progress on hypersonic military aircraft” on March 15, “Lockheed Martin revealed on Tuesday it is on the brink of a technological breakthrough that could lead to the US developing military aircraft that can fly six times the speed of sound. bluewater2012, AssassinsMace and Equation like this. A military professor, Colonel Wang, received a prestigious aeronautical award in 2015, for test flying a scramjet. I believe that the recoverable scramjet/ramjet is a combined cycle engine. Blackstone, AssassinsMace and t2contra like this. Hope stories like these put all those semi-racist op-ed pieces about China somehow never being able to master engines (with a strong whiff of racial reasoning implied) to bed. Chinese turbofans are not yet up to western standards because the west has decades more experience in their design and manufacture. That and the western hi-tech embargo on China means its very hard for China to make up ground since the west is also constantly improving and effectively moving the goal posts on what western standards means. However, if we look at the progress China has been making on ramjets and scramjets, one gets an idea of Chinese capabilities compared to the west when China started off with a far smaller handicap. In many respects, this is a competition on resources. In the past, the west has cumulatively invested far more time and money on turbofan engines, so its little wonder they are still some ways ahead of China. However, in recent years, China has been able to invest huge sums of money, as well as finally having developed all the tools necessary to help them with their work to world leading standards, like wind tunnels and supercomputers etc. As such, it is able to make impressive progress and appears to even be pulling ahead of western efforts, which have suffered because of budget cuts in recent years. Its all down to cold hard figures, and not some mystical 'creativity gene' too many western (and more than a few Chinese) commentators have been believing in. AssassinsMace, taxiya, Equation and 1 other person like this. I think the trope about the Chinese are unable to innovate is more a ideological rather than a racial issue. What they are saying is that the Chinese are unable to innovate because of the current political system in China. taxiya and Equation like this.